Victoria accepts instructions in Family and Criminal Law. Victoria regularly represents parties in the Family Proceedings Court, County Court and the High Court, accepting instructions in both public and private law matters. She has a wide-ranging practice, acting for local authorities, parents, extended family members, children and children’s guardians. Victoria has substantial experience of care work ranging from urgent applications through to finding of fact hearings and multiple-day contested matters. She has been involved in cases with allegations of serious sexual and physical abuse, including non-accidental injuries. Victoria regularly deals with cases involving domestic violence, neglect and drug and alcohol abuse. She has considerable experience in complex contact and residence disputes. Victoria represents applicants and respondents at all stages of financial remedy proceedings. She regularly receives positive feedback in respect of her approach to both lay and professional clients, and the quality of her work. 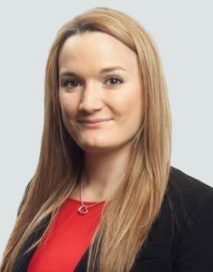 Victoria handles cases sensitively, recognising the difficulties parties can experience in proceedings. She is renowned for building a good rapport with her clients alongside providing clear and straightforward advice. Victoria accepts instructions from both the prosecution and defence at all levels of the criminal justice system. She regularly appears at the Youth Court, Magistrates’ Court and Crown Court within the north eastern circuit and has also defended at the Old Bailey. Her expertise covers a wide spectrum of criminal offences including domestic violence, robbery, assault, drug offences, road traffic matters and sexual offences. Victoria also acts on behalf of local authorities, the Probation Service, Her Majesty’s Revenue and Customs (HMRC) and the Royal Society for the Prevention of Cruelty to Animals (RSPCA). Prior to her career at the bar, Victoria volunteered for the Human Rights Charity Reprieve in the USA, defending people on death row in Texas.